A 2019 Calendar in CD box is a great personalised business gift. 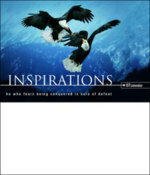 There are many designs to choose, Scenic, Wildlife, Contemporary and Art. 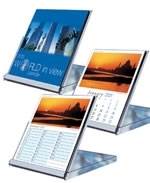 All 2019 Calendars in a CD box can be branded with your company logo and details make a great desktop item. For more information on our Calendar in CD box complete this form or call 01989 565281 for prices and samples. Generous advertising space on every leaf. Calendar in CD box range in more detail.